I transferred the headrest covers from my old car to my new one, delighted to find that they fitted almost perfectly! Handcrafted heirlooms for generations of cars to come, perhaps? 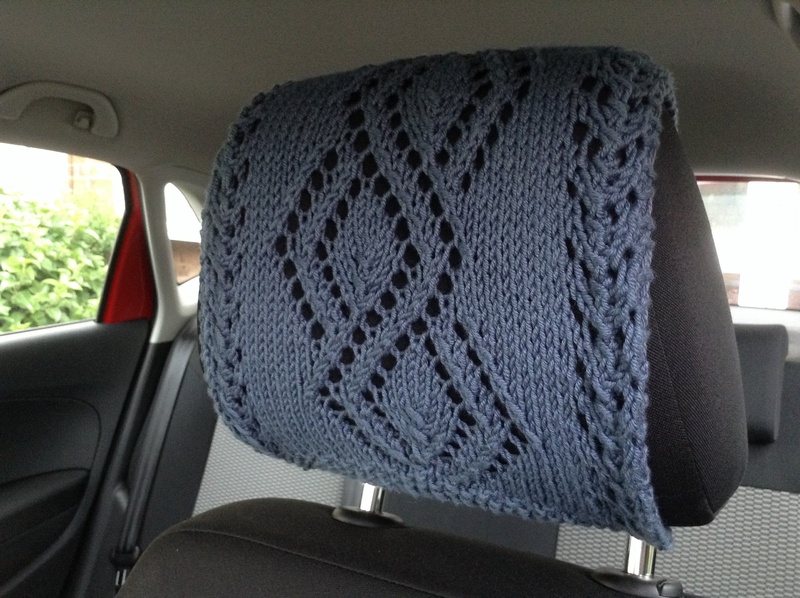 Have you knitted or crocheted anything for your car? I’d love to know! This entry was posted in Uncategorized and tagged car, cotton, knitting, lace. Bookmark the permalink.